An Essential Package of Health Services (EPHS) can be defined as the package of services that the government is providing or is aspiring to provide to its citizens in an equitable manner. 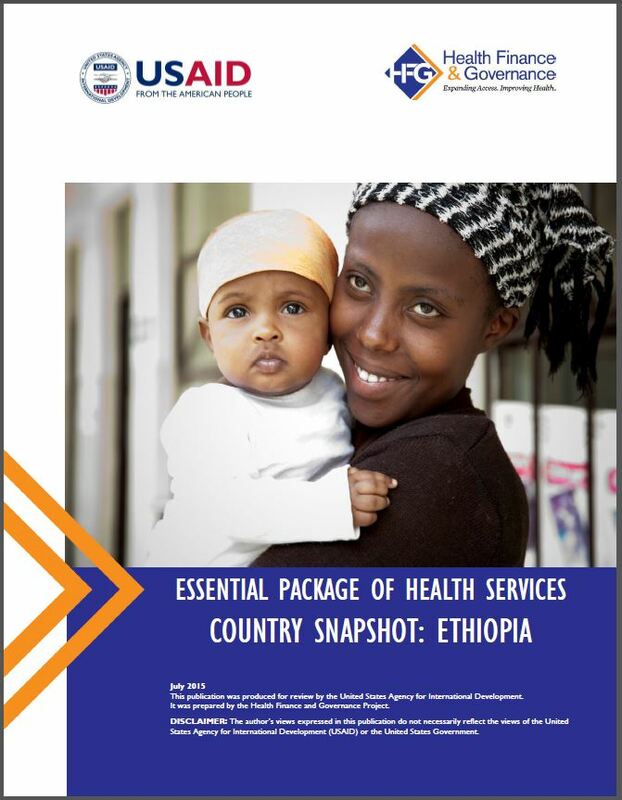 This country snapshot is one in a series of 24 snapshots looking at the governance dimensions of Essential Packages of Health Services in the Ending Preventable Child and Maternal Death priority countries. The snapshot explores several important dimensions of the EPHS in the country, such as how government policies contribute to the service coverage, population coverage, and financial coverage of the package. 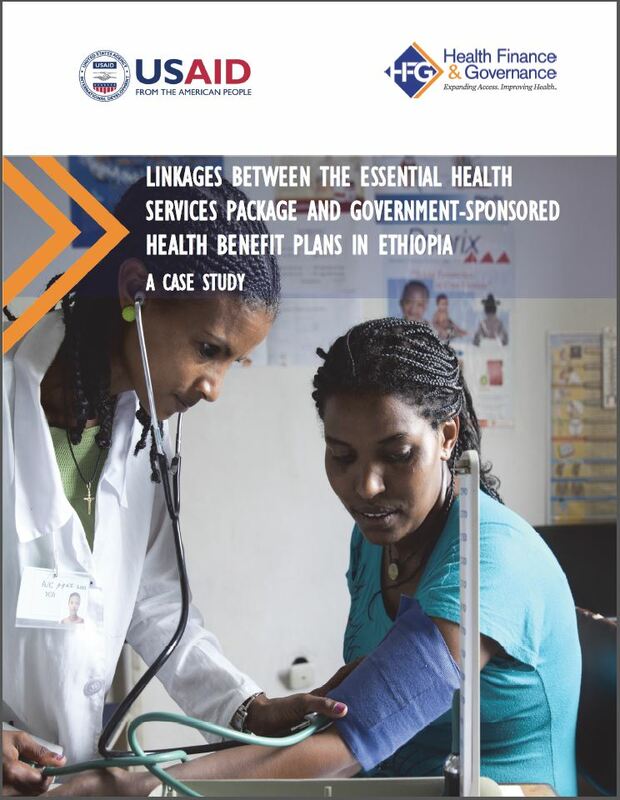 The government of Ethiopia published its “Essential Health Services Package for Ethiopia” in 2005 (Federal Ministry of Health 2005). This package was published with the intention to have public sector facilities provide a minimum standard of care that fosters an integrated service delivery approach essential for advancing the health of the population. 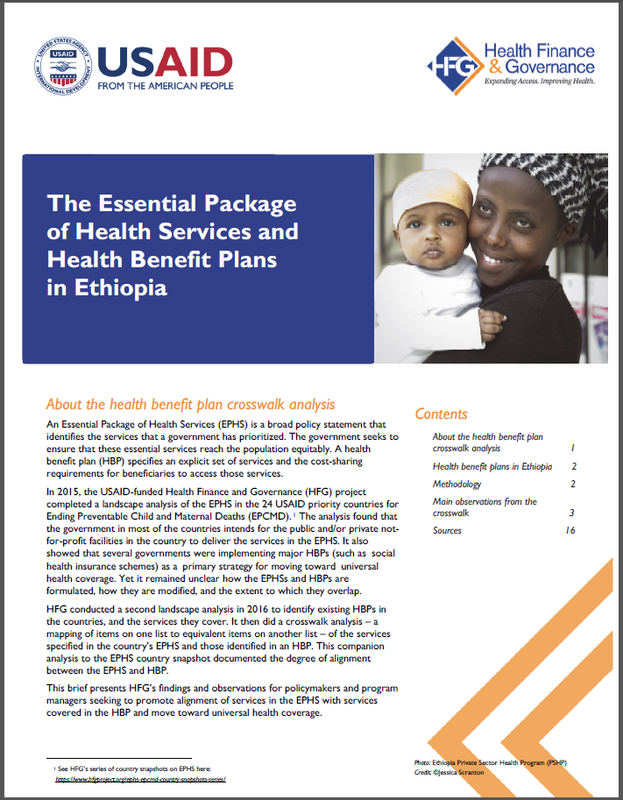 The major components of the Essential Health Services Package for Ethiopia are classified building on the Health Service Extension Program, which was launched in 2002 as an essential health services package at the community level, in recognition of the failure of essential services to reach remote communities in the country. By 2010 over 33,000 trained health extension workers were serving both rural and urban areas throughout Ethiopia. Many governments are scaling up health benefit plans, such as social health insurance, to increase population health coverage. This brief presents findings from a mapping between the services covered under the country’s prominent health benefit plan(s) to the country’s Essential Package of Health Services. The mapping analyzes the extent to which the plan(s) cover essential services. This brief is for policymakers and program managers seeking to promote universal health coverage. It presents HFG’s findings and observations about the relationship between the services in an EPHS and the services covered in HBPs.